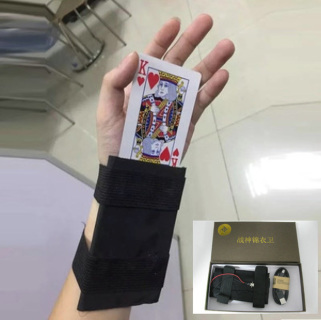 If you are a magician or a poker player who wants an extra advantage by taking control of the cards. This automatic card swapping device is perfect for you! It is discrete and smooth. Very quiet and efficient. No batteries necessary! The device comes with a USB charger and can charge so that a full battery lasts 4-8 hours of playing time! Watch the video below for a full product review. Purchase our device today and get over 50% off! This device can be used with our marked cards for even more poker advantage! It could be risky to swap cards alone. Very slow process. This automatic card swapping device makes things way easier! By sliding the card into the slit it will automatically swap your card quietly and fast! Free shipping.